This Cathedral Horizontal bezel-set Marquise cut diamond engagement ring setting features approx. twenty six pave set round diamonds around the main diamond creating a beautiful double halo effect. The center diamond and halo design sits on a cathedral band to allow a wedding band to sit perfectly flush. The engraved band design gives this modern ring a unique antique, vintage look. 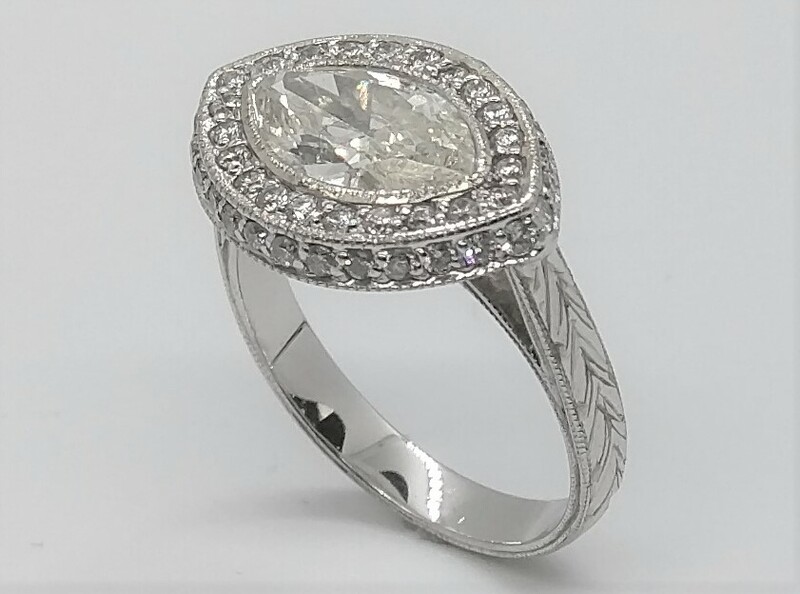 This ring is created for a 1.00 carat marquise diamond and is available for other sizes as well. Available in white gold, yellow gold, rose gold and platinum.